The best part of today? 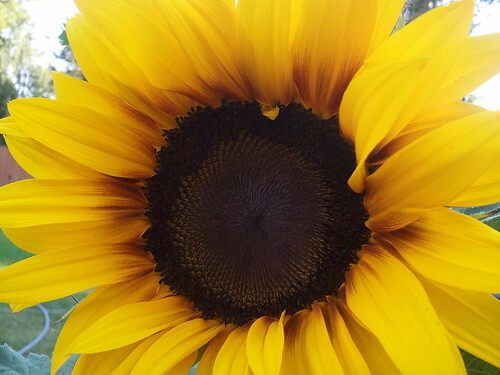 The sunflower that bloomed in the back yard. I've never seen one (of the varieties that I grow) bloom this early! It's just been that hot. But it was a great little surprise. Remember last year, when July was over? Welcome back July, we’re so excited to have you! 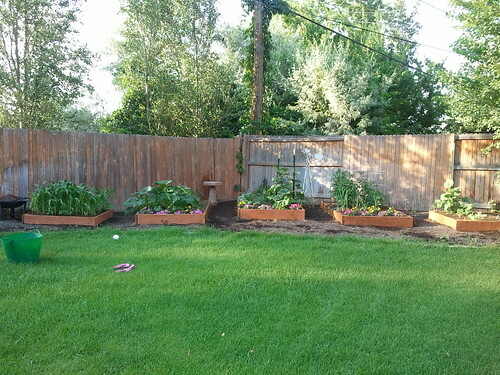 View of the garden in the back yard. 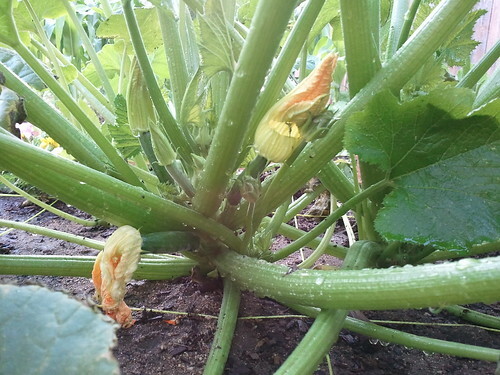 Today I pulled out SIX zuccini plants, but I couldn't bear to pull out the four that were already starting to produce, even though my neighbor tells me I will be drowing in zuccini. If anyone wants some, let me know! We counted 7 so far! 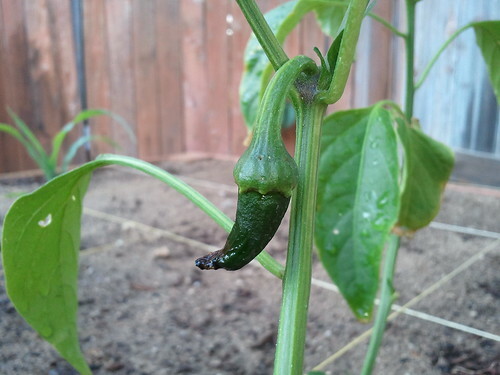 I even have a little baby pepper growing! 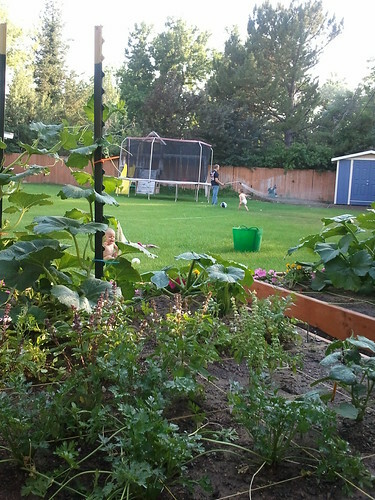 View of the back yard with babies playing. Everett is such a big helper these days! 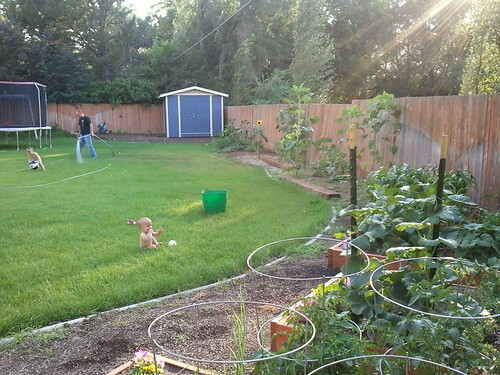 View of the back yard from the back of the garden (notice Roo on the grass, and Everett playing). 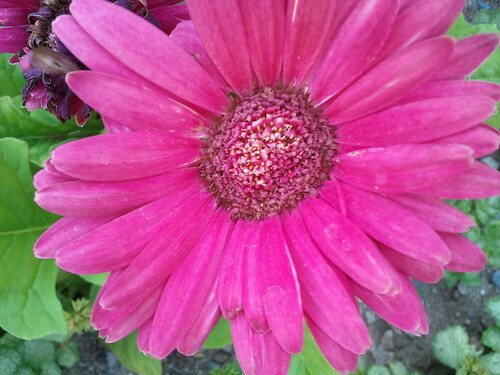 This is Wyatt's favorite - the fuschia Gerbera Daisy. 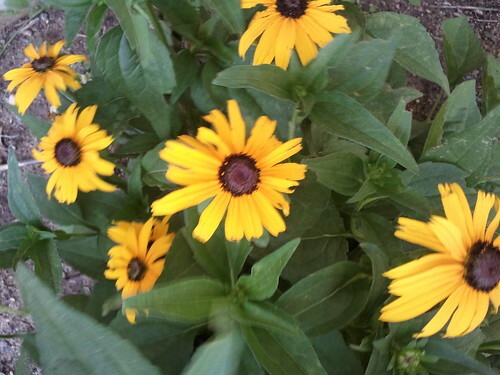 I'm excited for these yellow daisies a neighbor gave me last fall. 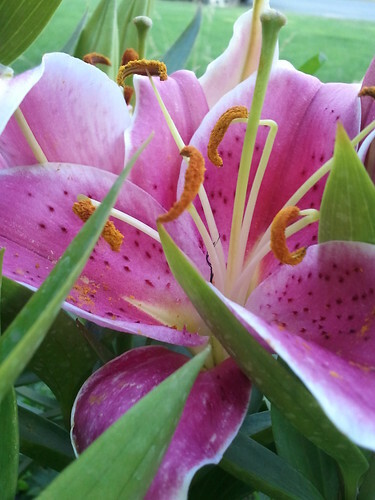 My pink Asiatic Lilies finally bloomed! 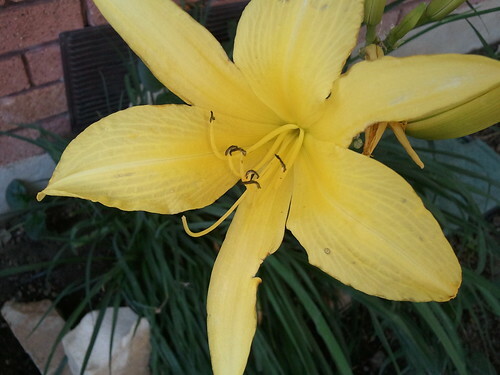 I was begining to wonder since it seems like everyone elses bloomed like two weeks ago. They still aren't very tall - only 12 inches or so. I wonder if they will get bigger as the years come? The blooms are HUGE though - probably 6 or 8 inches across. These are such lovely pictures. Your garden and lawn is really breathtaking. And the little toddler is so adorable. Thanks for making my day. 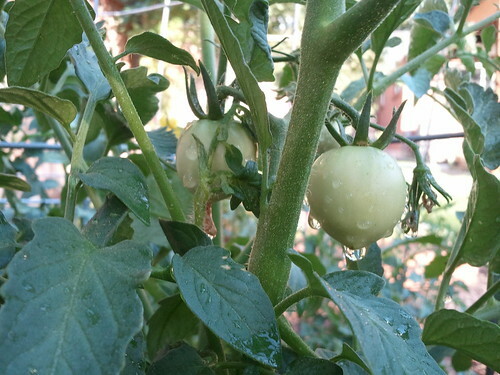 Your garden is looking awesome! Your yard looks AMAZING!!! Your kids are so stinkin’ CUTE too. 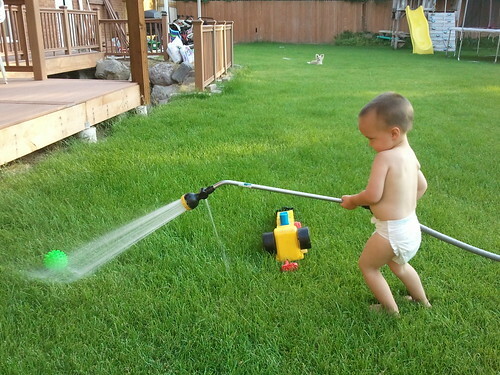 We need to play this summer before it passes us by….